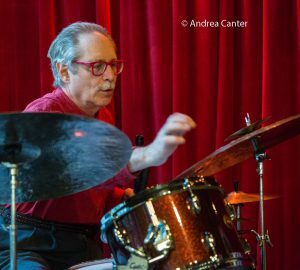 A few weeks ago, Steve Kenny’s Saturday Night Jazz at the Black Dog series celebrated its 200th consecutive Saturday of top jazz performances, featuring the best of area (and national) veterans, often sharing the stage and the billing with local rising stars. After the blizzard closed the Black Dog and most other venues last weekend, the Saturday Night series will hold its first-ever Sunday Night event on April 22 with a postponed doubleheader that continues the cross-generation tradition, opening with the bright high school talents of the Dakota Combo at 4 pm and continuing with the veteran trio Firebell (Park Evans, Graydon Peterson and Jay Epstein), celebrating the release of a new recording, Incendios, at 5:30 pm. 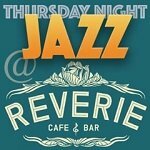 On the usual Saturday Night series on April 21, hear the Amethyst 3 at 7 pm, followed by Chris Bates’ Red 5 at 8:30 pm. 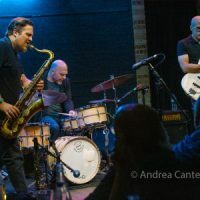 Chris Bates launched Red 5 in 2012 via a series of “open sessions” at Jazz Central Studios, bringing original compositions to the band to test drive and tweak before live audiences before heading into the studio to record New Hope. The album pleased audiences and critics alike, the only jazz release in the top 20 choices of Star Tribune critics for 2012. 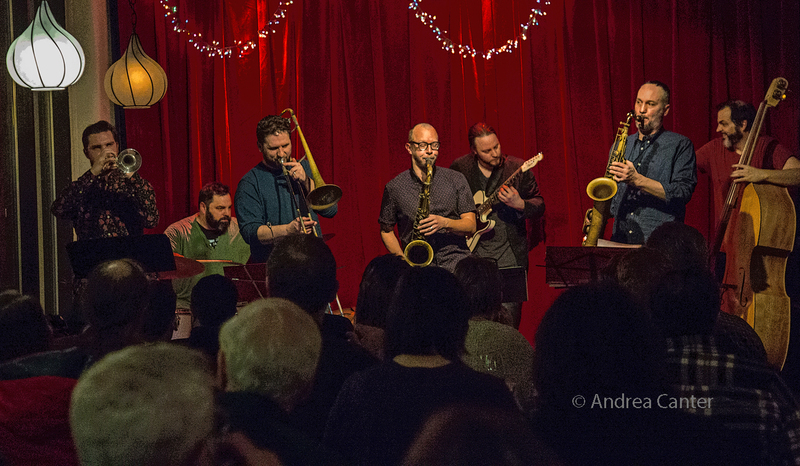 Originally a quintet, the band now has a somewhat fluid cast of six-seven musicians. 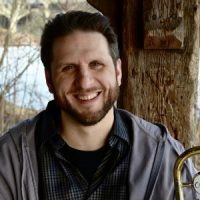 Tonight the ensemble includes Jake Baldwin (trumpet), JC Sanford (trombone), Chris Thomson and Brandon Wozniak (saxophones), Thomas Nordlund (guitar), Chris Bates (bass) and Pete James Johnson (drums). 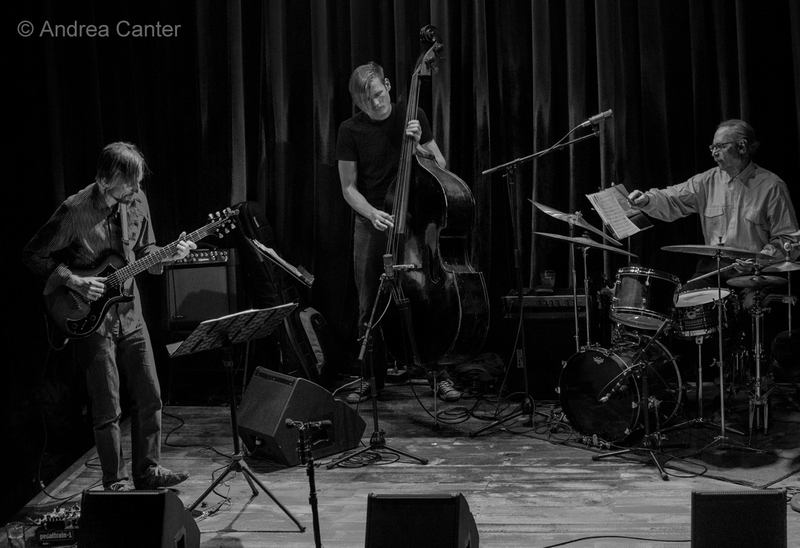 Directed by Adam Linz, the Dakota Combo is a program of the MacPhail Center for Music, with funding from the Dakota Foundation for Jazz Education. 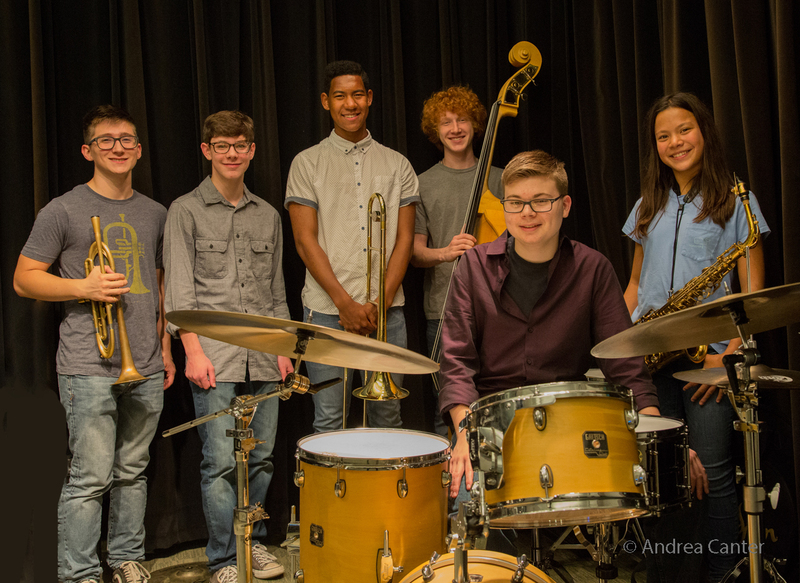 Top high school jazz musicians audition each fall for the opportunity to learn and perform throughout the school year. For 2017-18, the Combo is a sextet featuring Leighton Teunge (Hopkins High School) on trumpet; Victor Imbo (St Paul Central) on trombone; Sophia Kickhofel (Apple Valley High School) on alto saxophone; Owen Finch (Minnetonka High School) on piano; Jorgen Linne (Minneapolis Southwest High School) on bass; and Nick Adams (Totino Grace High School) on drums. 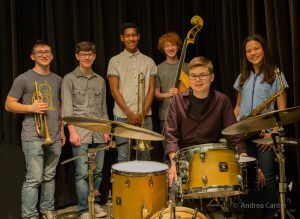 In addition to the showcase at the Black Dog, the Dakota Combo will perform at Jazz Central on May 5 and on the Youth Stage of the Twin Cities Jazz Festival on June 23. 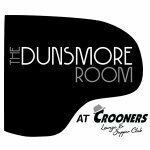 They also performed in January on the stage at Crooners, opening the Twin Cities Winter Jazz Festival. This band is the 12th ensemble since the program launched in 2006. 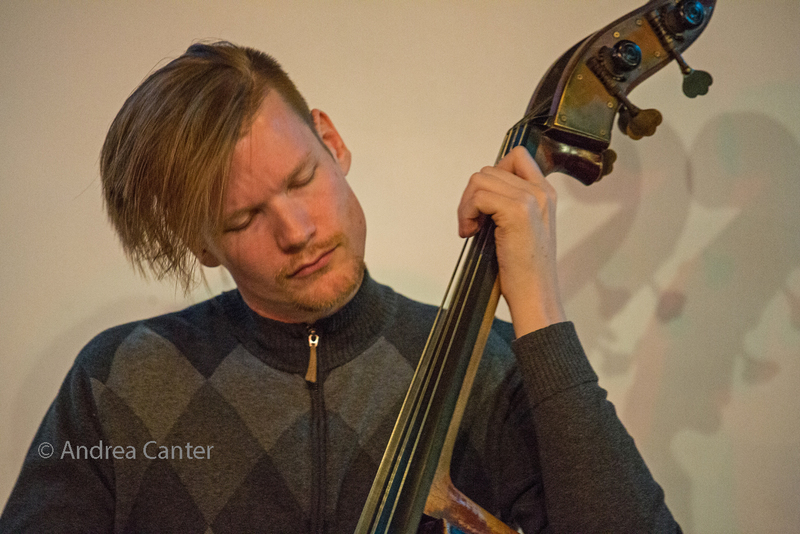 Since then, many of the Combo graduates have gone on to successful careers in jazz and related music, including some of the “young lions” on the Twin Cities jazz scene, including Ben Link, Javier Santiago, Jake Baldwin, Joe Strachan, Levi Schwartzberg, and Patrick Adkins. 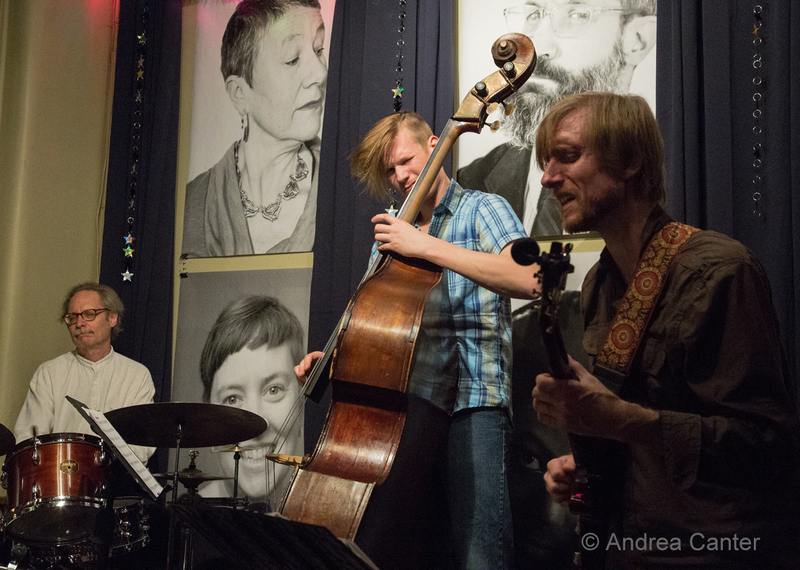 Firebell has appeared several times on the Saturday Night series at the Black Dog, as well as during the Twin Cities Jazz Festival gigs and at other venues throughout the Twin Cities. They released Impossible Vacation on Shifting Paradigm Records in 2014. Now they celebrate their new recording, Incendios (Shifting Paradigm Records). Park Evans grew up in Ithaca, NY where he studied classical guitar. Although he relocated to Minnesota to further his classical training, he found himself studying with jazz guitarists Kevin Daley and Dean Magraw, and was soon a integral part of the Twin Cities jazz scene. 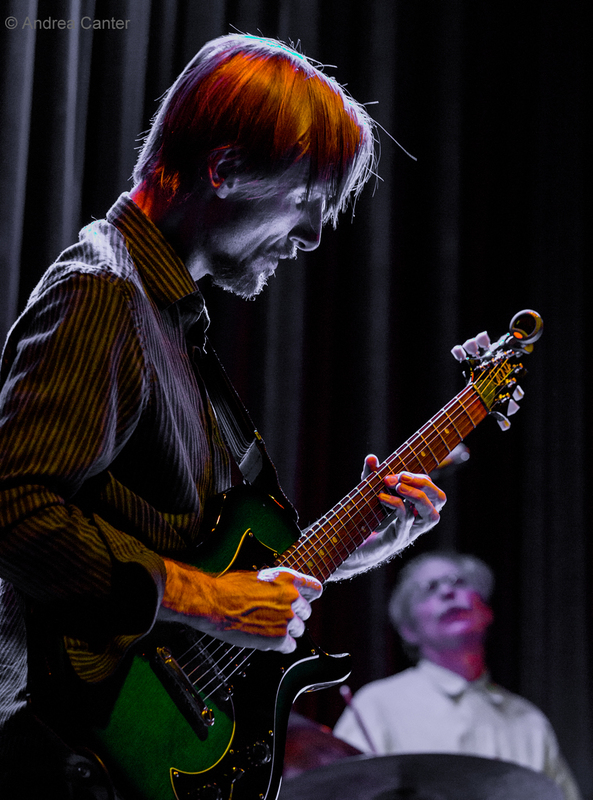 Performing in bands from rock to jazz to world music, Park’s credits include Parker Paisley, New Primatives, Radio in the Desert, and These Modern Socks in addition to Firebell. He also works with vocalists Katie Gearty and Sophia Shorai, guitarist Mike Michel and cellists Michelle Kinney and Jacquelline Ultan. 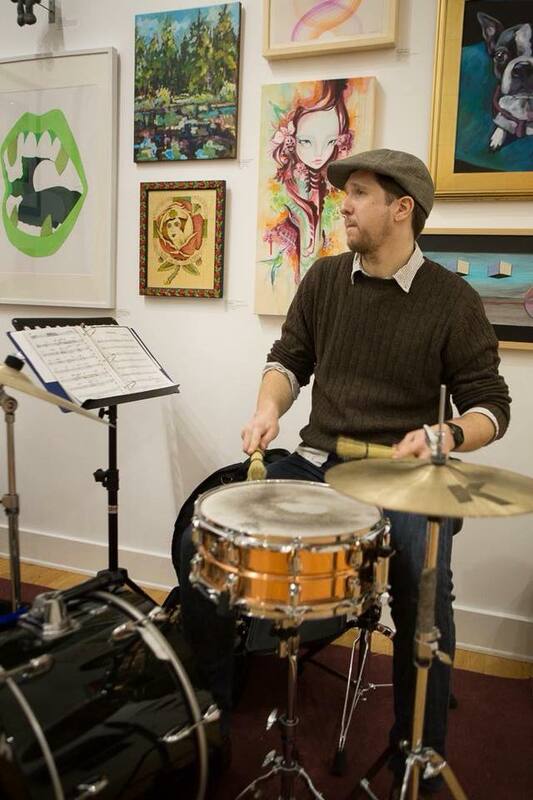 He’s released three recordings of his original music and is a first-call studio musician. Graydon Peterson played electric bass in his high school pep band and dabbled in rock music in his spare time. The school’s jazz director saw him play, and soon he had earned a spot in the All-State Jazz Band. 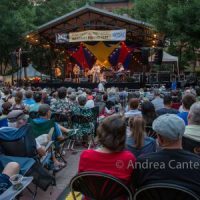 At the University of Wisconsin-Eau Claire, Graydon was a member of UWEC’s Downbeat Award-winning Jazz Ensemble I, and performed with such guest jazz artists as Lewis Nash, Ingrid Jensen, Jason Marsalis, Chris Botti, and Christian McBride. Based in the Twin Cities over the past decade-plus, Peterson is a first-call bassist who worked often with the late Christine Rosholt, as well as vocalists Debbie Duncan, Connie Evingson, and Arne Fogel. In addition to Firebell, he has performed with brass ensemble Snowblind and three-bass trio Mountain King, and currently can be heard with Doug Little’s Charanga Tropical, Adam Meckler Quintet, and with his own Quartet and Ghost Tour. Of trapset master Jay Epstein, Cadence Magazine’s David Lewis noted that “his dazzling cymbal and snare work extends the lineage of Tony Williams and Jack DeJohnette.” Jay studied polyrhythmic concepts in New York with Barry Altschul (Chick Corea’s Circle), and has worked in Los Angeles, Oklahoma City, and Miami, as well as in house bands for five years on cruise ships. 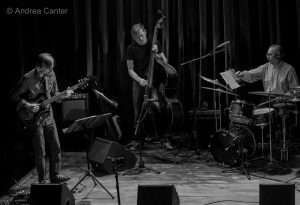 For many years, Epstein managed time for the Phil Aaron Trio with a long-running weekly gig at the Hotel Sofitel in Bloomington and later at Enjoy! Restaurant in Apple Valley; more recently he has toured with Richie Cole and Five by Design. 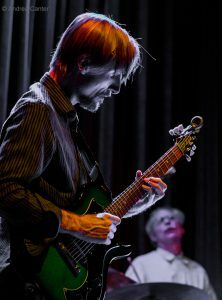 These days, Jay keeps busy with Red Planet, Framework, Counterclockwise, Dean Granros’ Tall Tales, Klezmerica, John Penny, Bronkow Vision, and Off the Map, in addition to Firebell, and in support of a long list of area vocalists and instrumentalists. Jay released Long Ago on Igmod Records, has recorded and toured with Bill Carrothers, and appears on each of Gordon Johnson’s Trios, among a long list of sideman credits. 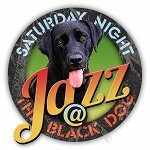 Saturday Night Jazz at the Black Dog has presented some of the best jazz artists in the metro and beyond for more than three years of consecutive Saturday nights (and now one Sunday night). The Black Dog is located at 308 E. Prince Street in the Northern Warehouse in the Lowertown Arts District of St. Paul, www.blackdogstpaul.com. No “cover” but donations ($10 suggested) appreciated to support the artists and the series. Full Saturday Night schedule at www.saturdaynightjazzattheblackdog.info. See Adam Meckler’s review of Incendios!